Few things thrill a writer more than holding a hard copy of a finally-published book. It’s a rush to see your name on the cover, but it’s also such fun to see how the colors and artwork look in real life. With all three of my Matthew in the Middle books, I’ve been pleased that the actual books look even better than the PDF cover files. Ken Raney, over at Clash Creative, did the artwork for all three novels in this series and he did a fabulous job. 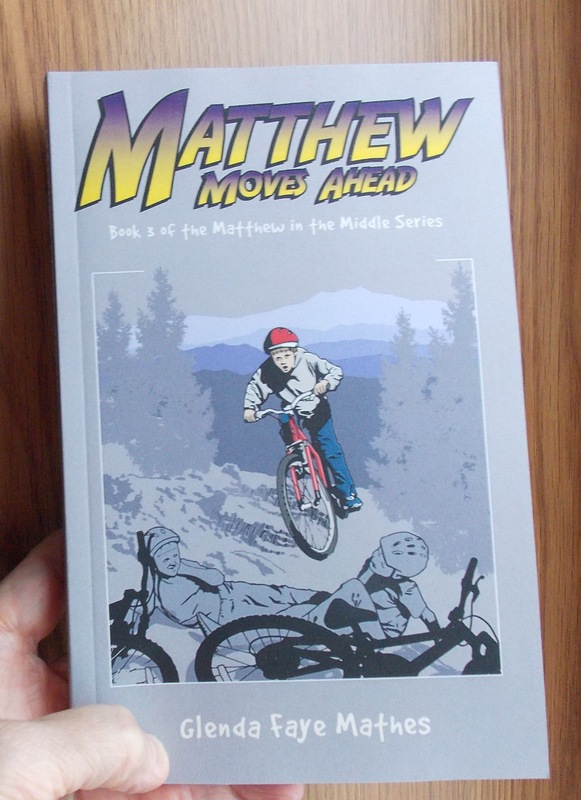 What a pleasure to receive this afternoon my first hard cover copies of Matthew Moves Ahead, the third and final book of the Matthew in the Middle series! All three novels are now available on Amazon: Matthew Muddles Through, Matthew Makes Strides, and Matthew Moves Ahead. Check them out! If you enjoy them, please leave a review. Any reader can review a book, and it’s easy to do. It takes only a few minutes, but it means a great deal to the author because reviews drive ratings and sales. And being able to pay for groceries thrills a writer almost as much as holding a hard copy of a published book. Are these available for purchase at a store in the Grand Rapids area? If not, no problem. Thanks! You can ask your favorite story to carry them or you may order them directly from Amazon.